This question gets asked so many times and in fact, there is no an exact answer or let’s say scientifically proved answer. Everyone talks on this subject. Most bloggers copy info from other bloggers, share some thoughts and don’t give any clear answer to this burning question. Some authority bloggers provide 10.000 word article about Google ranking factors and compile a list of 100 or 200 factors that play a major role in a website ranking. Of course, this info is very valuable and we can’t ignore it. We read it, try to apply to our website content but when it comes to getting results it works DIFFERENTLY for everyone. 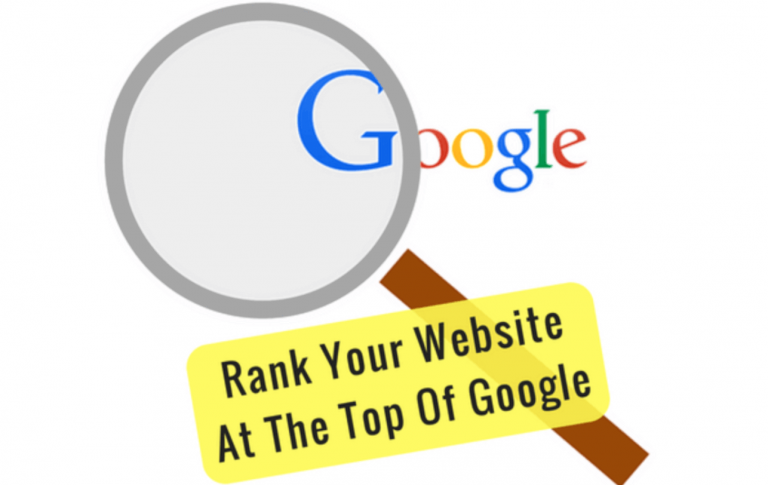 It’s really difficult to say that if you follow rankings tips your website will be in top 10. There is no guarantee. I’ve been running my website since 2014 and have multiple 1st page Google rankings and I’m getting steady traffic from Google and Youtube. I think I know a thing or two when it comes to SEO (search engine optimization) and want to share my experience with you. Though I don’t pretend to give an answer to the question: How Does Google Rank Websites? I have some thoughts on this and I believe it’s a very valuable information for anyone wanting to understand how Google ranking algorithm works or how Google ranks websites. You can disagree with my position but all info contained in this article is based on my personal experience in SEO. I will provide some facts, analytics and once you see all this info you will understand what I mean. I believe you will come to the same conclusion I came to after almost 5 years of my SEO activity with my websites. Want to Learn How to Rank a Website on Google? Try This Program. It’s FREE to Start. First ranking factor is a high quality content, the more content, the better. Google is looking for content based on what people search when they google something. If you aim at first page of Google your article should be around 1500-2000 words at least. I personally write around 2500 words or more and as a result have multiple first page Google rankings. Your main keyword should be mentioned at least 2,3 times within your content and preferably in the title of your article, in meta description tag and in H1 tag (subtitles) and in your URL. Before writing on any given topic first do some research and see what other bloggers write and how they cover that topic. If they cover 10 points you cover 20 points and by doing so you will give a reason to Google to love your content. Make your content different to stand out from other websites. Do some internal linking within your article. You can also sometimes add an external link to an authority site. Make your paragraphs short and add videos when it’s possible. Finally, don’t choose too competitive keywords. 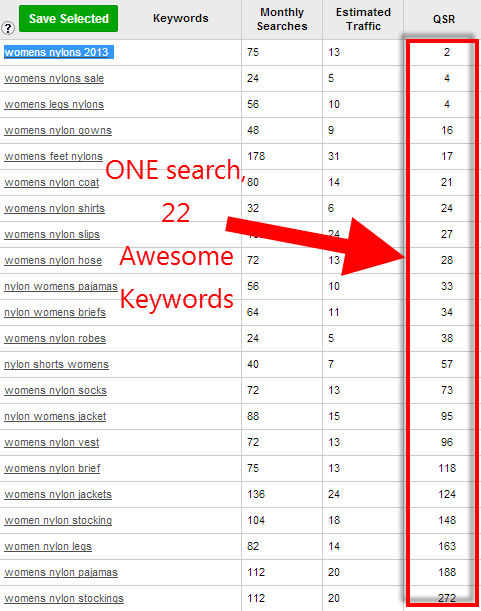 Pick keywords with competition (QSR) less than 200. I personally use this keyword tool to find keywords for my content. If you follow these simple rules you can get your content ranked in top 10 even without any quality backlinks from authority sites. Of course, there is no guarantee that it will be ranked. There is no any official list of ranking factors from Google that you can follow and get your content ranked in top 10. But if you continue creating content based on what I’ve explained here some of your content will be ranked. Second ranking factor that plays a major role for a website to appear in top 10 of Google search results is a backlink. Some experts are of the opinion that number of backlinks from authority sites is the most important ranking factor. Not all SEO experts think so. I agree with them only to some extent. Because sometimes even if you have such links you don’t see any improvements in your website ranking or traffic. This factor works only if you can get MANY links from authority sites. But how can you get those links? Why would authority sites link to you? For this to happen you need to have a ton of high quality content on your website. Is it easy to create such content? Not at all. Having high quality, useful content is one thing. Making other sites link to your content is another thing. If other sites don’t want to link to you it doesn’t mean your content is bad. I have some links from authority sites. Not too many, but there are some. Unfortunately, I didn’t notice any serious improvement in my website ranking or traffic. Only for some time. As I said, we can’t ignore backlink factor. But relying on this factor alone is not going to improve your website rankings. From my experience, I’ve seen sites for competitive keywords in Google’s top 10 without a single quality backlink. It’s simply odd to see how they outrank high quality content sites. These sites with a couple paragraphs can easily outrank sites with high quality 3000 word article. I’ve seen it. I see such sites to this day. 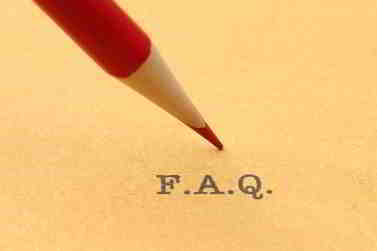 Some experts say when Google ranks short content it means people prefer a quick answer. I can’t agree because I’ve seen those sites with a poorly written content ranked in top 3. It doesn’t make any sense. I will talk about it later within my article. The main idea is to understand that quality backlink factor works ONLY if you have hundreds of such links from authority sites. Because when you have those links Google simply can’t ignore this fact. Having hundreds of high quality links pointing to your site means your site is super popular. If your site is super popular it becomes a powerful signal for Google to rank your site in top search results. Having a few backlinks pointing to your site will not do wonders for your site. Don’t expect it. Your website must be mobile optimized. It’s already a ranking factor because about 50% of searchers use tablets and phones for doing their online search. Site speed is also a ranking factor. If your site design is outdated and takes 30 seconds to load it means most of your visitors will not stay on your site. They will leave it within 5–10 seconds if your site doesn’t load within that time. Time spent on your site is also a ranking factor and it’s clear why. People come to your site with one simple goal. They do search, find what they want and read it. If visitors don’t stay at your website at least 1,2 minutes and leave it within 10 seconds it means either your content is not engaging or your content is irrelevant. In any event it’s bad for you. Your site will not get ranked in top 10 as a result. 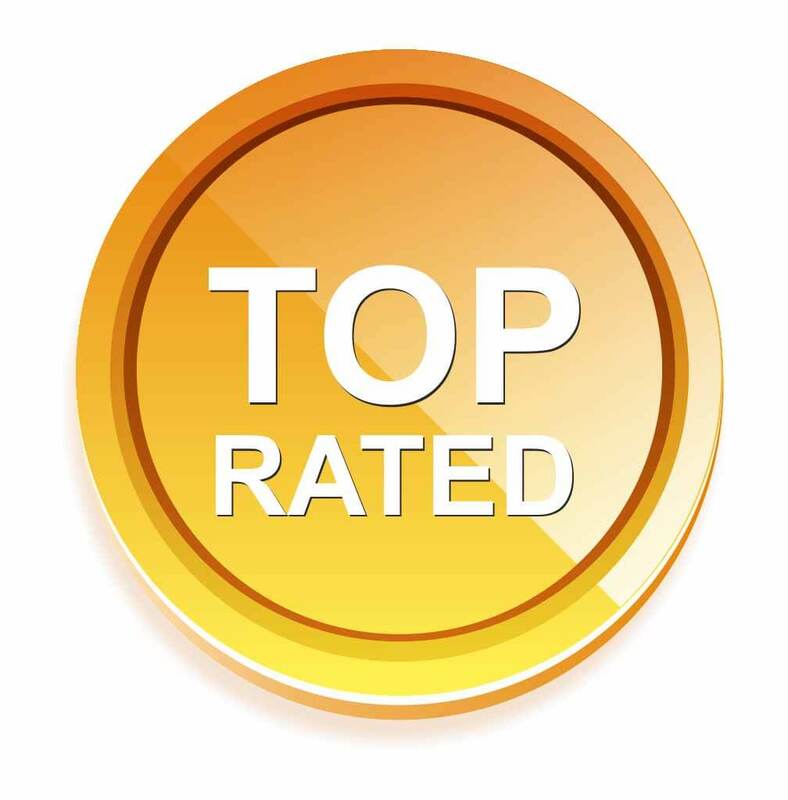 CTR (click through rate) is also an important ranking factor. 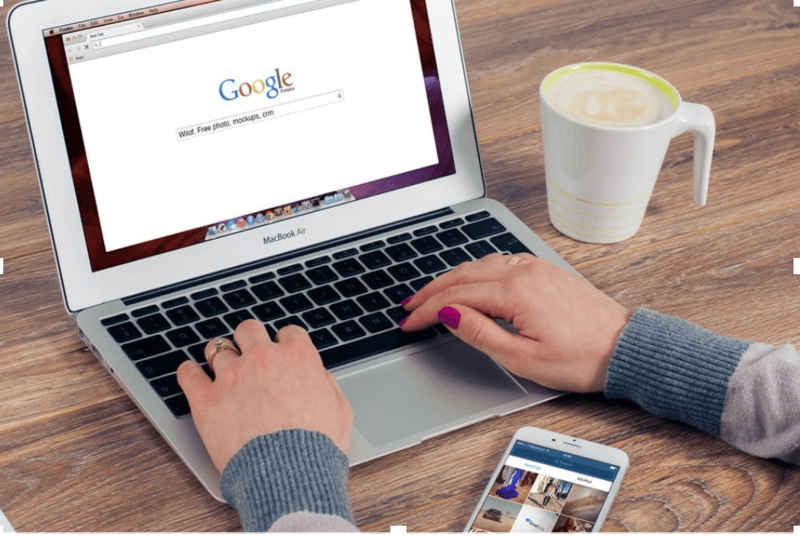 If your site or page gets a lot of clicks on Google and people stay on your site it becomes a powerful signal for Google that people love your site and find what they wanted to find. SSL Certificate (HTTPS) – having https in your domain is a ranking factor. Not so costly and highly recommended. Having comments on your posts is also a ranking factor. If you have a lot of comments it proves to Google that your site has a lot of engaging content that people love to read and comment. Imagine how content without comments will look like in Google’s eyes. But it doesn’t mean having a lot of comments guarantees first page rankings. It can improve rankings but not always. I know sites that have way less comments and still they outrank me for unknown reason. There are way more ranking factors but I mentioned here only those that are the most powerful and play a significant role in your website ranking. All other factors are important too and affect your site rankings and should be taken into account when optimizing your websites for search engines. Because you never know which factors will be determining for your website position in search engines. You can find plenty of materials on Google about 200 ranking factors, 30 most important ranking factors or 7 insights into how Google ranks websites or 8 major ranking factors etc. If you read all this info you will get confused and it will be really difficult to come to a conclusion as to which factors exactly help your website get to Google’s top 10 search results, especially top 5. Just imagine, how is it possible to know which factors, and there are almost 200 ranking factors, play a determining role for a website? For instance, if your website is ranked in top 5 or 10 today it doesn’t mean it will stay there forever. You can lose your ranking positions next week or month because Google is constantly updating its search results based on its ranking algorithm and user intent. You need to do some research to find out why other sites outrank yours. But this task is extremely difficult in my opinion, or almost impossible because Google can rank pages on the same topic and all those pages will be absolutely different. You will find high quality, authority sites along with the sites with poorly written content in Google top search results. You will never know why Google decided to rank them in top 10 or even in top 5 because Google doesn’t give explanations to anyone. No one can explain exactly why Google ranks site A in top 3 and site B in top 20. Even if you analyze sites ranked in top 10 for different keywords you will never understand how Google algorithm works. Sometimes it’s clear. Sometimes it’s not clear. Bloggers/website owners want to get to top 10 because the higher your site rank on Google the more traffic you can get from it which means more leads, more sales. All websites are struggling for traffic and ONLY few of them can get thousands of visitors per day. Most sites never get more than 200–250 visits a day. NEVER. Even if they have 1000 pages of content. This is the reality we have to accept when starting a new website. 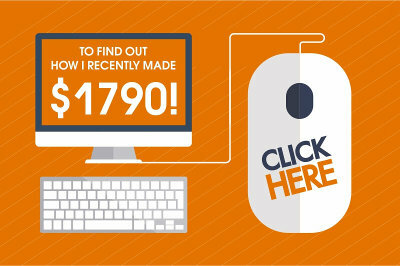 Believe me or not, but even with this kind of traffic you can make a solid monthly income from your website. For instance, my website average traffic is 150–200 visits a day, sometimes even less and still I’m making a solid income. It depends on what program/programs you promote, how much you get paid, how your site is optimized for conversions. Unfortunately, with this kind of traffic your business will not grow because traffic is very low. Your average daily traffic must be between 500–1000 visits. If your site is properly optimized you can make between $2000–$4000 per month. I believe Google ranks sites RANDOMLY. As I said above, sometimes it’s clear, sometimes it’s not. I think it’s because if Google officially publishes a list of ranking factors and all sites follow them then tomorrow website owners will be complaining for not being ranked in top positions though they strictly followed all ranking factors officially published by Google. If Google ranks sites exactly based on its ranking factors then all sites following those factors should appear in top 10. Of course, it’s impossible. If Google ranks sites this way then every website owner will know that, will follow Google rules and get their content ranked in top 10. That’s why in my opinion, Google sometimes ranks sites based on its ranking algorithm and sometimes Google breaks this rule so no one can complain for not being ranked in top positions. Otherwise it would be so easy to rank a site. Do this and you will be ranked. No, it doesn’t work this way. I think it’s a kind of mystery. No clear answer, no clear explanation, no clear ranking formulas. To prove my statement I want to share some interesting info from my personal experience with my websites. I will also share some info about other sites whose owners I know. I have almost 5 years of experience online in SEO. I think I know a thing or two in this field. I launched my site in 2014. In the first year I published 100 articles. My traffic was 20–30 visits a day. Next year, 2015 I added another 100 articles. My traffic increased to 50–60 visits a day. Next year, 2016 I added another 100 articles. My traffic increased to 100 visits a day. Next year, 2017 I added another 100 articles but my traffic didn’t increase. 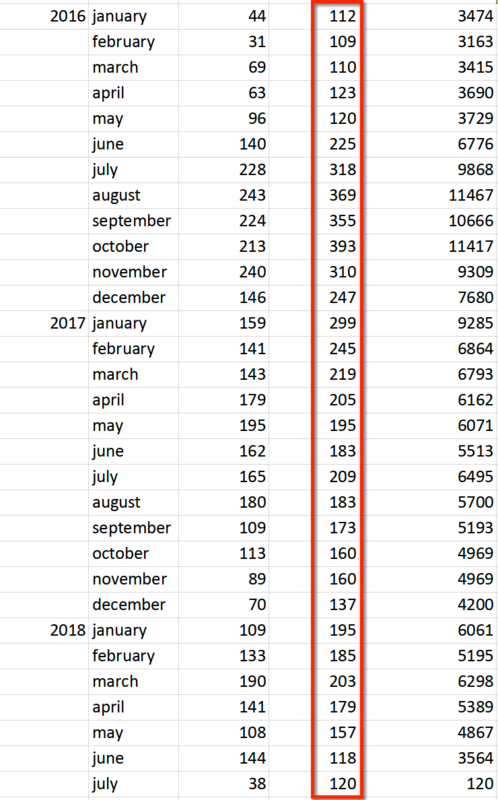 Now in 2018 I have over 400 pages (articles) and my average traffic is around 150 visits a day. You can see the screenshot of my daily traffic over the years. See red column. Sometimes I paid for traffic and that’s why you can see some traffic spikes. My natural search engine traffic has never been more than 250 visits a day. I have multiple first page rankings. When I write a new post most of the time my new post gets ranked in top 10 within minutes or even seconds. I have quality backlinks from my other authority sites. Not too many, but they are quality backlinks. My domain authority is 35, page authority is 35, number of links to my domain is 4230 and links to my page is 69. See the screenshot below. My website is at the top of this list. It’s the most recent data that I got using this tool. These numbers are increasing each month though I don’t do anything. It’s normal for any website that has been online for a few years and became some kind of authority in its niche. 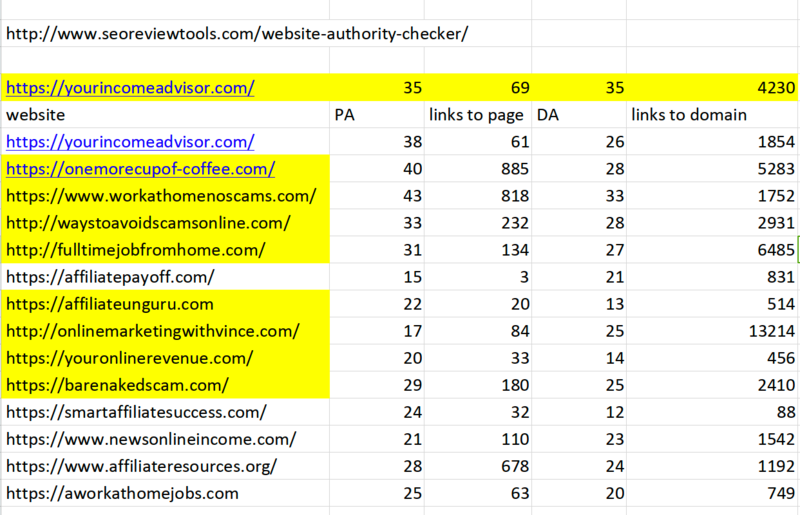 If you take a look at the screenshot you will see some sites marked yellow whose numbers are lower than mine and yet they outrank me for many keywords and get way more traffic. I don’t look at their sites as my competitors. At all! I just want to show you some facts to prove my statement above. Sometimes, domain authority, page authority, number of backlinks, ssl certificate, site speed, number of comments on your site, number of posts DOESN’T help your site rank better if Google doesn’t want to rank it. Google has its own rules and ranks sites randomly. It can ignore all ranking factors mentioned above very easily and rank a new site above authority site without any explanation. Believe me, I’ve seen so many low quality sites outranking me with a few poorly written paragraphs. It does disappoint you, but we can do nothing. 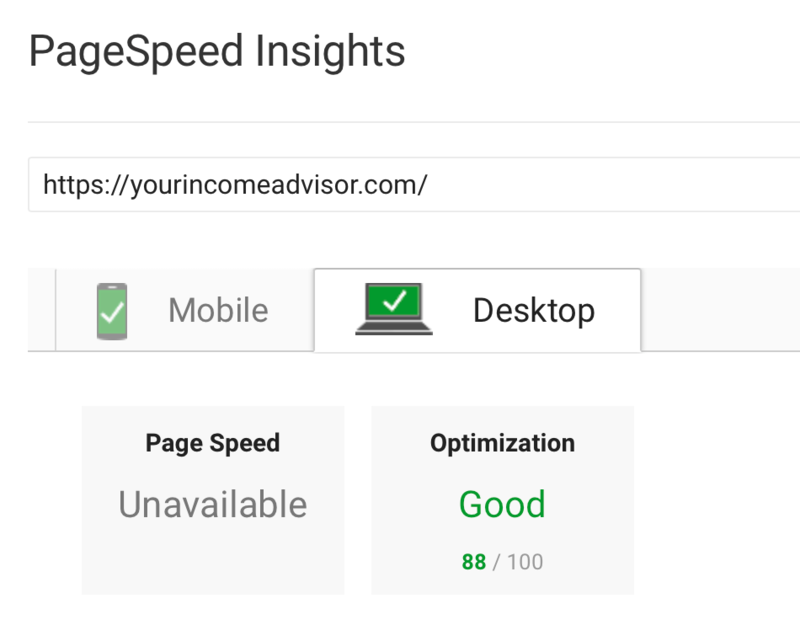 For instance, below is the screenshot of my site speed and optimization. It’s not the best optimized site in the world but it’s not bad. Yet I can’t increase my site rankings and traffic. Though Google loves sites that have a YouTube channel and tend to give them some boost in rankings I’ve seen sites that outranked me with poor content, with no backlinks and no YouTube channel. I have all of this and yet they outrank me for unknown reason. Anyone with a good experience in SEO know what I’m talking about. It’s a ranking paradox. Over the years I’ve noticed that my traffic doesn’t increase because I don’t have a cumulative ranking success with my website. By this I mean that Google ranks my new pages that send me new traffic but drops my other pages from top positions. This is also normal for any website. It’s called Google ranking dance. Any SEO expert will tell you that it’s absolutely normal when some of your pages lose rankings and others climb up. It’s normal for any site. But in my case it happens all the time systematically, i.e. I lose old rankings and get new rankings. And that’s why my traffic doesn’t increase. It doesn’t add up. I don’t have a cumulative rankings and traffic success. In my case it happens too often which is NOT normal. I don’t know why it happens. Maybe Google doesn’t like my site? But there is no reason for that. Because I don’t do anything that would be bad for my site. If Google ranks my site in top 10 to this day it means Google likes my site and I don’t do anything wrong. As I said above, if your site is super popular, you have a ton of quality backlinks, thousands of social signals, Google simply can’t ignore this fact and ranks you accordingly. It’s too obvious and Google can’t go against logic or facts. For all other sites that are not so super popular ranking is not clear. Your site will be ranked randomly. If Google chooses your site to be in top 10 without constant ranking drops or dance you are a lucky person. Otherwise you will be constantly struggling for traffic and improving rankings of your site. This info is based on my experience and many other site owners that I know. I know someone who has published 200 pages of high quality content within 6 months and his traffic has never been more than 50 visits a day. It’s a little disappointing but you never know whether you will be among those lucky ranking guys or not. Just stay positive and work hard and you will be making money from your website. Creating a site and making it successful in online space is not an easiest task in the world. It takes time, months, years to see kind of results you might be expecting from your online efforts. Stay positive and you will be successful. Finally, the answer to the question: How Does Google Rank Websites? In my opinion, UNLESS your site is super popular Google will rank your site randomly. Really great informational article! Thanks for sharing your experience and research. I learned so much reading this article. I wasn’t surprised that content was the number one factor. I’m thankful that google puts such a high value on quality content. Thanks again for investing this time into helping us get better rankings. I clicked on a few of the tools you use and look forward to trying them out. Yes, content is number 1 factor but now always. I’ve seen so many times poor content outranking my thorough content. And those crappy sites didn’t even have quality backlinks. I believe Google has its own hidden rules on how to rank sites and no SEO expert knows about them. All I can say is wow! There are so many things on this list and some I was aware but so many I was not. It seems a bit difficult to understand everything but there are many useful tips here. The only thing I can say is that I bookmarked your article for further review. It’s a great tool and I won’t even ask but which one if any is the most important tip for ranking? There are really many things that are important for ranking a website but there are many thing that are unclear to us. When it comes to your question, I think the most important ranking factor is a combination of several things. 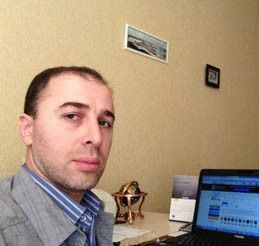 First is having MANY quality backlinks, second, having MANY social signals and finally third, high quality content. All these factors can seriously improve your site rankings. It’s not a rule but in most cases it works. Your site must be super popular so you can get a lot of traffic which is possible only through high rankings. I had no idea that the longer your post was, the more likely you are to be ranked highly! I mean, at least it plays a factor, but still, I had no idea. I thought it was more about frequency than length of posts or articles, but it’s nice to know. Although I’ve been doing my keyword research, I have quite a few posts on my blog that fall below the 1500 word mark, so I may go back through and edit where I see fit, or, maybe I’ll just let those go and try to keep my posts at at least 1500 words. Thanks for the tips and I look forward to testing these methods out in the future to see how they play out for me! Yes, longer posts tend to rank higher in search engines because they cover more details and provide more detailed answers to burning questions. But it’s not a rule. Sometimes you can see short content that easily outranks longer content. This is strange but otherwise everyone would be writing long content and then waiting for top rankings. Also, from my experience I can tell writing frequency doesn’t affect your rankings. You will not lose rankings or traffic as well. If you write one article per week that would be enough to keep your rankings. Getting comments would be great too. When it comes to eiditing old content with the hope to improve its rankings in my opinion it will not help. From my experience I’ve never seen old contnet rank higher after updating it.